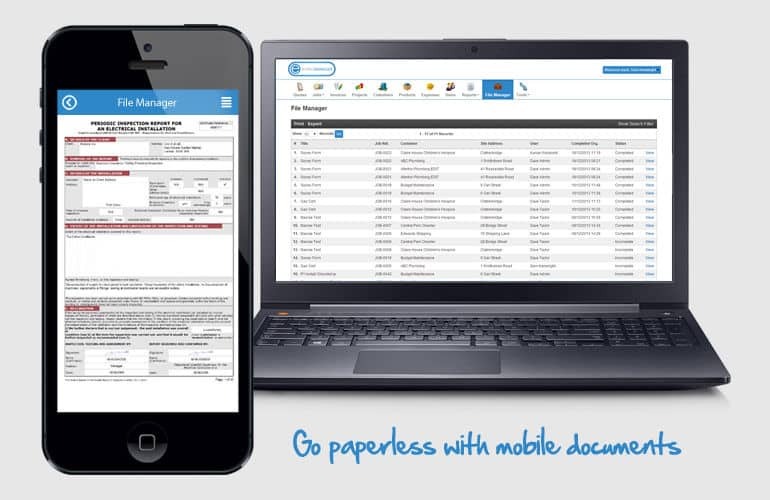 With Eworks Manager it is possible for you to complete your paper documents from your mobile or tablet device. Any documents can be made digital into our system, with no setup charges. Filling out specific documentation is a part of everyone's working day and we have added this as a key feature in our system. Certificates, customer job sheets, questionnaires, satisfaction surveys etc. Eworks Manager allow you to fill any documents out on the go and centrally store them for later use, printing, emailing or simply to report on the results.